No stranger to pro-level performance, Canadian-brand Cervelo offers their R5 not just to consumers but also to the members of the Dimension Data WorldTour outfit. With an all-new frame geometry, the R5 is completely redesigned from its previous generation. Whether you’re a die-hard rim-brake rider or someone looking to add disc brakes to their lineup, the Cervelo made sure to make the R5 available in both versions. Instead of looking for the lightest or most aero design for the R5, Cervelo chose to go with a frame design with new geometry and increased stiffness to give the rider a better ride performance while out on the road. Also added was a more aggressive rider position designed more for the race-inclined rider. In addition to the updated frame design, the carbon R5 is also the recipient of Cervelo’s latest Squoval Max tubes, which play a significant role in achieving the uptick in stiffness and aerodynamics. The front end of the R5 is lower than the previous generation, with the head tube measuring 125mm in length. This new number came at the request of professional riders who complained they couldn’t get their stem low enough with the previous model. In addition to the stem, the bottom bracket has also been lowered. The 41cm chainstays have been beefed, with the wheelbase measuring at 97.6cm to give you a more squatted feel to the road. 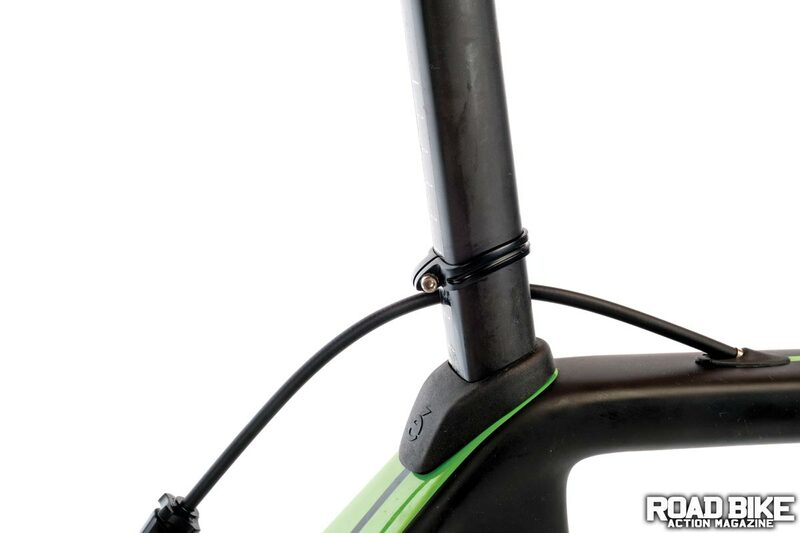 The new aero seatpost has a nice design to it with the addition of the clamp being at the rear of the post, which offers easy adjustment—unlike some other brands where they tuck it under the corner of the top tube and seatpost. Although the bikes run 25mm tires in stock form, there is enough clearance to put 28mm tires on, which is a proven benefit for riding on those rougher roads. 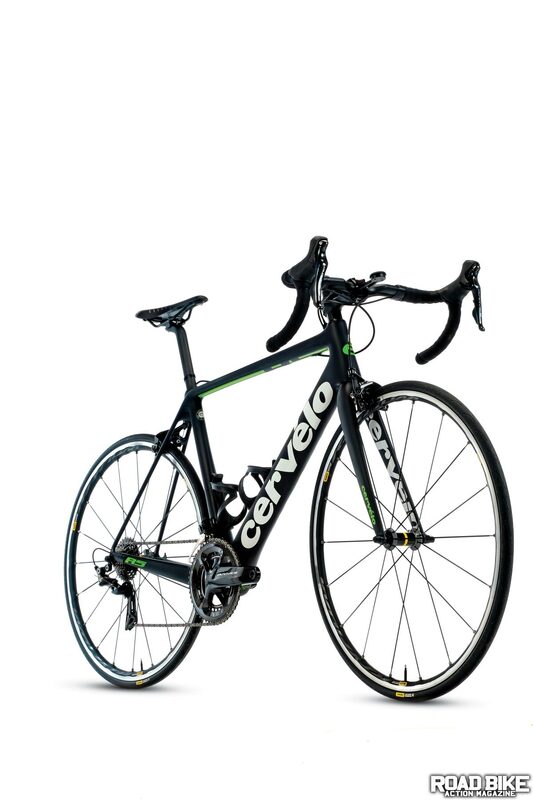 Cervelo offers the R5 in a variety of build kits and options. Our test bike started with a Shimano Dura-Ace 9100 drivetrain, which always provides smooth and easy shifting at your fingertips. The 50/34 compact crank was mated to an 11- 28t cassette to give you plenty of gears for when the road turns up. 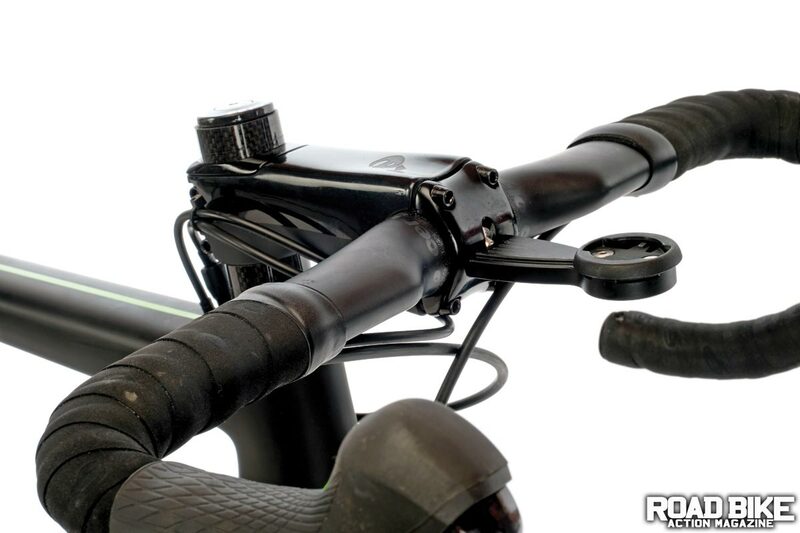 Cervelo has an interesting computer mount, as this Bar Fly unit mounts behind the stem’s face plate. The cockpit is completely new for the R5 with their own carbon bar and stem combination. The new carbon bar has a very stiff feel to it with a comfortable, flat design on top to give your hands ample room to rest on. For cable routing, Cervelo borrowed from their S5 aero bike, with the cables routing up and behind the stem before dropping internally into the top tube. For wheels, Cervelo chose Mavic’s new UST-tubeless Ksyrium Elite wheels mounted with Mavic Yksion tires. The popular Fizik Antares alloy saddle was Cervelo’s choice for the R5. 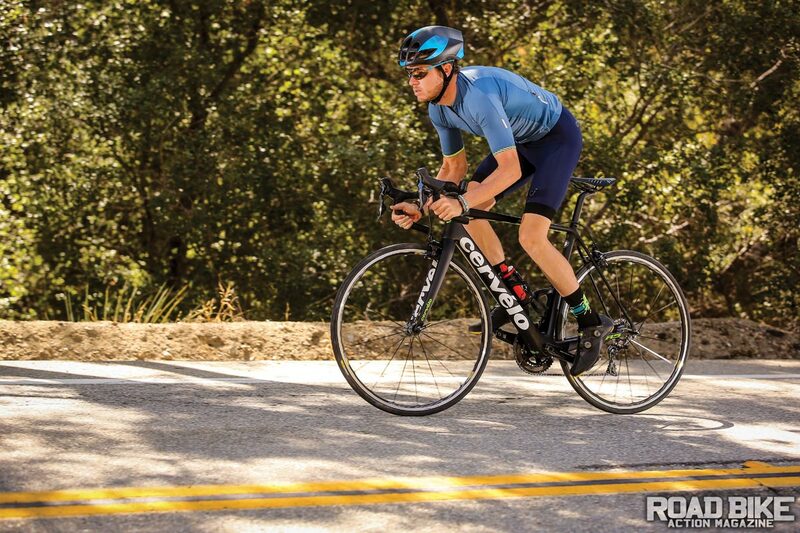 The new Cervelo R5 is exactly what they say it is—stiff, yet not uncomfortably so. The lowered bottom bracket helps give the bike a planted feel once you start accelerating. We came away happy with the handlebar design, as many bike companies who’ve recently gone down a similar path have not been as well received. The hidden seatpost binder allows for quick and easy adjustment. Thanks to the shortened head tube, we dropped the bars to a real aggressive position and could still get lower if desired. In light of their UST tubeless system that makes tire changes so much easier, the Ksyrium Elite wheels are a solid choice. However, they are Mavic’s second tier of high-end aluminum wheels, and at this price point, a bit outclassed. Owing to the R5’s already stiff and responsive ride, we’d really like to try it out with a proper set of carbon wheels to really see the bike’s true potential. saddle and not feel any flex in the frame. Luckily, it’s still comfortable enough for long stints in the saddle. Overall, we came away impressed with the new R5. This is a bike geared towards the cyclist with aggressive instincts. All the different build options provide consumers with a wide range of bikes to choose from. Even though we weren’t too excited with the wheel choice at this price point, thanks to the frame and Shimano drivetrain, this R5 is still a solid platform to give the consumer a good start at building up a truly capable race bike. Already on the pricey side, the R5 is still a (pricey) wheelset away from being a pro-level race bike. 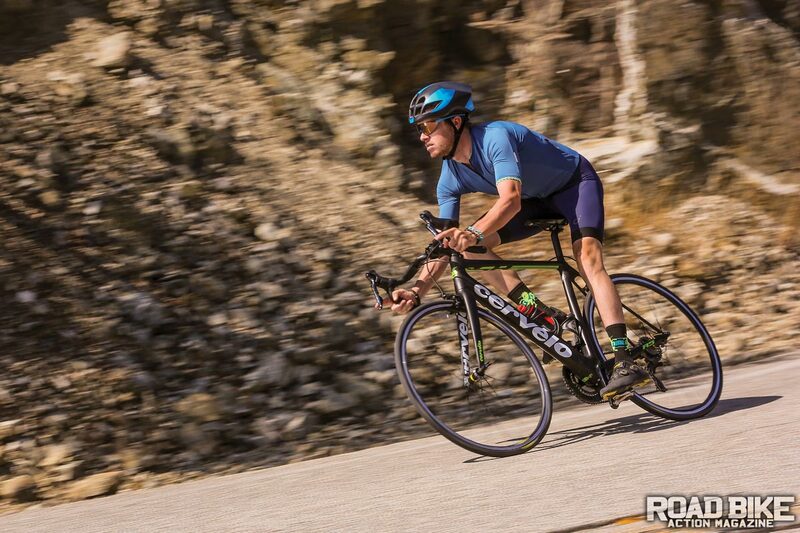 If you’re looking for a stiff yet not harsh ride, the R5 may be a bike worth looking at. Besides the R5 tested here, it also comes in four separate builds, ranging from their Shimano Ultegra version, which is priced at $5000, all the way up to the Shimano Di2 version at $9000.